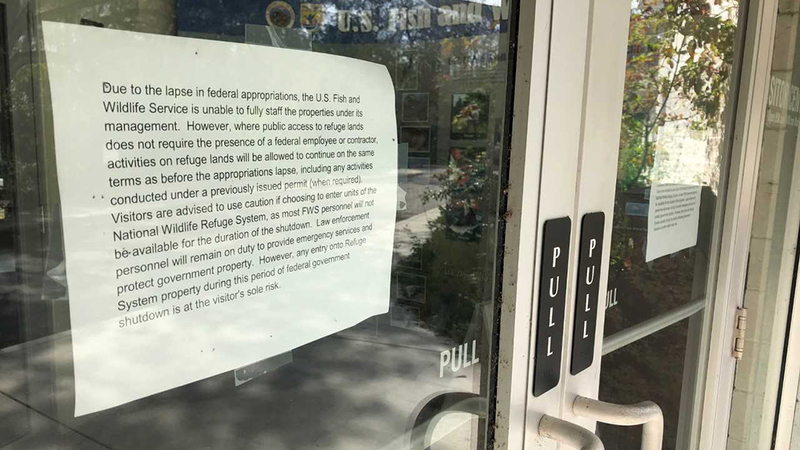 PALM BEACH COUNTY, Fla. — The ongoing U.S. government shutdown is leaving its mark on a national wildlife refuge in Palm Beach County. At the Arthur R. Marshall Loxahatchee National Wildlife Refuge, west of Boynton Beach, the trash cans are full, some overflowing, and no one is maintaining the park because it’s normally staffed by federal workers. The bathrooms are also locked up. A sign on the door of the Visitor’s Center says most U.S. Fish and Wildlife Service personnel will not be available during the shutdown. “Business has been down by like 50 percent,” said Don Shenosky, who works at Loxahatchee Canoeing in the wildlife refuge. Workers at the canoe rental business said they’re pitching in to clean up what they can until the shutdown ends and federal workers can return.